General Dynamics Armament and Technical Products, a business unit of General Dynamics (NYSE: GD), has been awarded a contract modification valued at approximately $28 million from U.S. Army Tank Automotive Command (TACOM), Rock Island, Ill., to produce M2HB machine guns. This option modifies a contract originally awarded in 2007, bringing the total value to date to more than $100 million. Deliveries from this award are expected to begin in December 2009. According to General Dynamics Armament and Technical Products gun systems senior program manager, Dean Gagnon, "Our M2's accuracy, durability and versatility make it ideal for offensive and defensive operations. It's a belt-fed, recoil-operated, air-cooled, crew-served weapon capable of right- or left-hand feed." The guns will be produced at General Dynamics Armament and Technical Products' Saco, Maine, facility using its existing workforce. Since 1979, this site has delivered more than 25,000 M2 heavy barrel machine guns to the U.S. government. Program management will be performed at the company's Burlington, Vt., Technology Center. 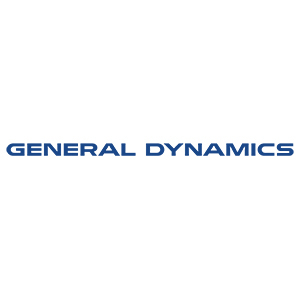 General Dynamics Armament and Technical Products' site in Saco is the company's production site for single- and multi-barrel aircraft and crew-served weapon systems. The site provides complete production capabilities, from design and development to manufacturing, testing and integration.